Heads up, and we mean literally, on January 31st! There will be a super blue blood moon eclipse which hasn't taken place in 150 years, making this event in the sky super rare. That means three different celestial occurences will happen at the same time. So what exactly does all this mean? First, when a full moon is closest to Earth and appears the largest and brightest it's called a supermoon. This month we will have two supermoon events happen which is rare in itself since this only happens once every two years. The first supermoon, as you recall, was on New Years. Now, when you have two full moons occuring in one month it's referred to as a blue moon. So that covers the super blue moon. As if this weren't enough of a great experience there will also be a total lunar eclipse. Remember, some in America were lucky enough to see the total solar eclipse last year? Well, this total lunar eclipse will not be visible for anyone in the United States (Hawaii may get a glimpse). If you want to see the eclipse, you will have to travel to Australia, New Zealand, Indonesia or some parts of Asia. Okay, so where does the blood moon come in? While the eclipse is happening, there's a certain way the light filters through the atmosphere and the blue light bounces off the moon while red light is reflected. This gives the moon a reddish appearance earning it the name blood moon. Sarah Noble, a program scientist with NASA said in a release, "We're seeing all the sunrises and sunsets at that moment reflected from the surface of the Moon." 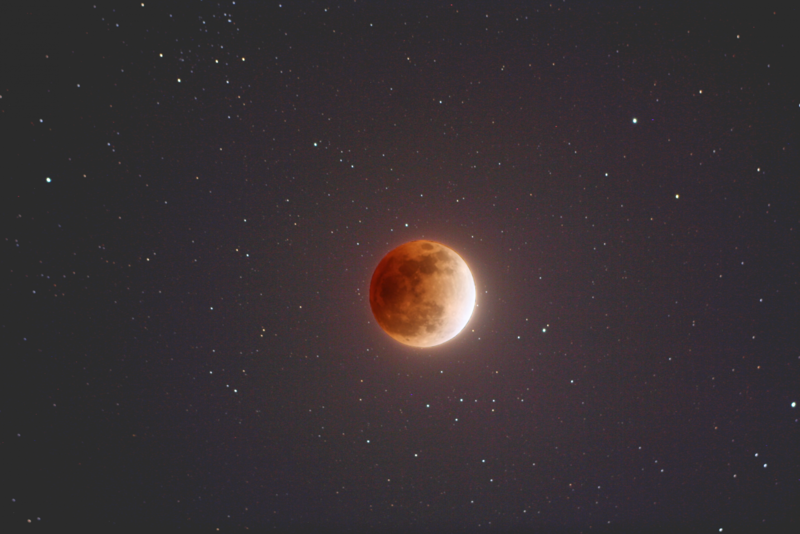 With all this phenomena happening in the sky on January 31st you might want to pack your telescope and camera and head to Australia...or just your backyard for the super blue blood moon experience.